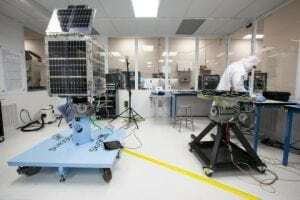 [Via Satellite 12-17-13] Exelis will support data analysis of images from SkySat 1, the first in a planned constellation of 24 satellites from Skybox Imaging. Support for SkySat 1 will be available in the early 2014 release of the company’s ENVI image analysis software. The new sub-meter imaging satellites will make timely and valuable information about the Earth easily accessible to a wider range of end users for applications ranging from disaster response and resource management to national security and climate monitoring, among other purposes. ENVI image analysis software is a core offering of the Exelis ISR and Analytics strategic growth platform, providing customers analytics in commercial, intelligence and tactical military applications. The high resolution SkySat 1 imagery, combined with the ability to extract useful information with ENVI not immediately discernible by the human eye, means imagery can be used outside of traditional applications.